Maybe you brush and floss just like you’re supposed to, but you could be doing significant harm to your teeth without even realizing it if you’re guilty of one or more of these 7 habits. Find out what they are — and how to start breaking them! Many adults grind their teeth — especially during stressful times, like when there’s a deadline at work or you’re running a little behind on a bill. But when tooth grinding becomes a chronic habit, your teeth are at a serious risk of breaking or becoming worn down. 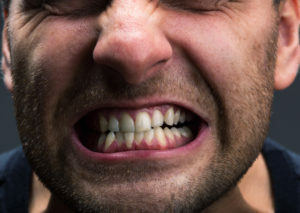 The condition known as bruxism, or nighttime teeth grinding, is associated with a number of oral health issues. Take note of when you are likely to clench your jaw throughout the day, and make a conscious effort to relax it. At night, protect your teeth from unconscious teeth grinding and jaw clenching with a custom-fitted mouthguard. Sports like football, rugby, basketball, and wrestling (among others) put your smile at great risk. In fact, one of the most common causes of dental emergencies is contact sports! 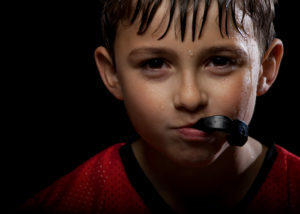 Protect your or your child’s delicate teeth at play with a custom-fitted mouthguard. Not only will it help to prevent broken, cracked, and missing teeth, but studies show they can actually help to reduce the incidence of concussion, too. It’s a common mid-afternoon habit — you’re finished with your drink from lunch, so you mindlessly chomp on the leftover ice until the cup is empty. 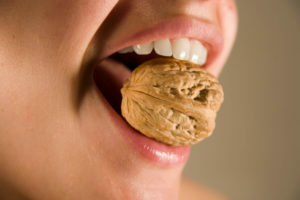 Unfortunately, doing so puts you at great risk of breaking or chipping your delicate tooth enamel. And if you have sensitive teeth, biting down on ice is a recipe for pain. Avoid the habit by reminding yourself that you’re not getting anything from eating ice. If you’re lacking hydration, reach for a bottle of water, instead. When you’re opening a package and don’t want to put in the time to find the right tools to bust through plastic, it can be tempting to just bite into it. Using your teeth as tools usually works out fine — but when it doesn’t, a trip to the dentist’s office will be in order to repair a broken, cracked, or even completely knocked out tooth. To keep your smile healthy for the long haul, avoid using your teeth as tools at all costs. The single most damaging habit for oral health has to be tobacco use. 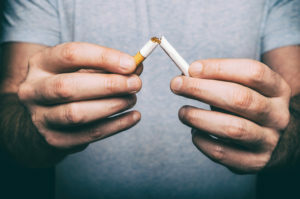 Smoking and other nicotine habits put you at a much higher risk of developing gum disease and oral cancer — and if you do develop these conditions, it’s harder to heal if you are a constant tobacco user. Kick the habit to protect your oral and overall health. Ready to quit but unsure how to go about it? Ask your dentist or doctor for tips. 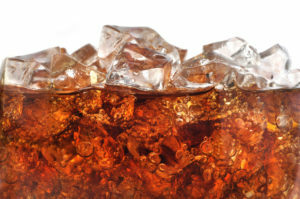 Dark, sugary sodas put your teeth at a much greater risk of cavities, and you’ll also experience tooth staining or discoloration with repeated exposure to the dark pigments. The carbonation in the soda, whether it’s light, dark, sugar-free or not, also weakens your tooth enamel and throws off the pH balance in your mouth. The next time you’re looking for an afternoon pick-me-up, try cold, clear H2O instead. It’s just as (or more) refreshing, without all the associated risks. Water also prevents bad breath and reduces your risk of developing cavities and gum disease. When it comes to your oral health, it’s not just what you eat that’s important — it’s also when. 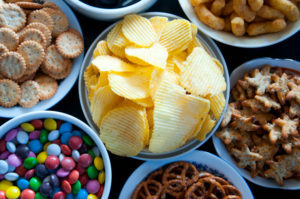 Your mouth conjures up more saliva during a complete meal than it does at snack time, which means more food particles and bacteria get left behind after a small meal than they do otherwise. If you can, try to eat three complete meals every day rather than many small ones. by: Piney Point OMS at July 24, 2017 .